Compliments of the season. May 2017 be the year that you actually realise all your resolutions! One of our own New Year’s resolutions is to accelerate the growth of BWD Advertising. So we kick-started it with what we’re always preaching to clients: brand awareness. As a result, we produced and booked two billboard ads. One is in Sandton, on the corner of Sandton and William Nicol Drive. The other will be on the M1 highway between the Buccleuch interchange and the Malboro off-ramp. 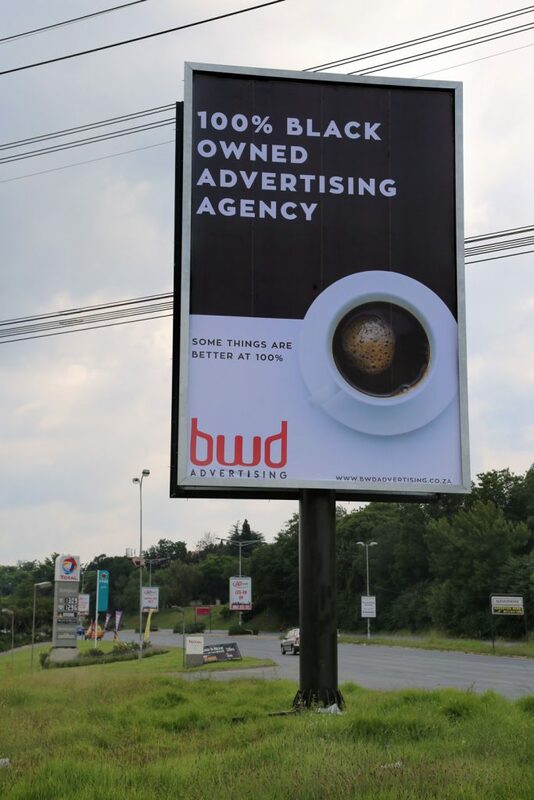 Check out our new billboard on corner William Nicol & Sandton drive. 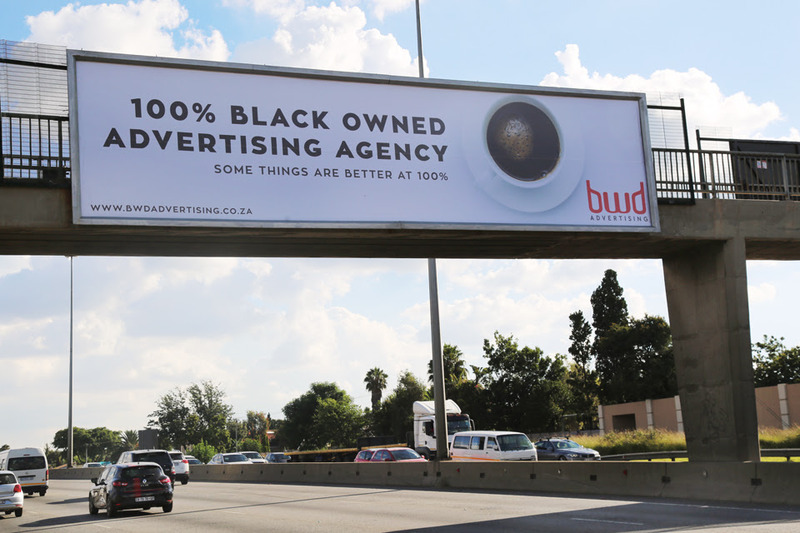 Second Billboard is on the M1 – between Buccleuch offramp & Malboro offramp going towards Jozi. “So you’re doing billboards,” you may say. “So are 1000s of other companies.” The truth is… those 1000s are NOT advertising agencies. Traditionally, advertising agencies do NOT advertise themselves on billboards. So we opted to go against that tradition – to get noticed. Which brings us to YOUR business goals for 2017. Growth does not happen by chance, we need to actively make it happen with a small investment. If your marketing person has not already finalized your 2017 marketing/advertising/PR plans then please ask them get in touch with us so that we can help your company get ready for accelerated growth. Secondly, dare to go beyond the norm, think off-the- wall, outside of convention. In an increasingly competitive market place, you have to really stretch yourself to stand out. PreviousPrevious post:How To Hit Home With Audience-Driven CopywritingNextNext post:What Does An Animation Editor Do?